My first impression of Terry Pratchett was also the first time I came to Germany by myself. In a little bookstore in...Bamberg, I think it was, visiting my cousin, I picked up a book with a funny title and a comical picture on it. I think I read it maybe 10 times in a row in the next two weeks, and couldn’t put it down or stop talking about it. 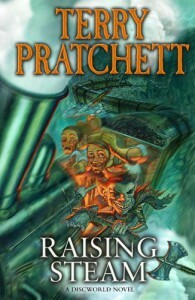 The book was Unseen Academicals, one of Terry’s Discworld series.